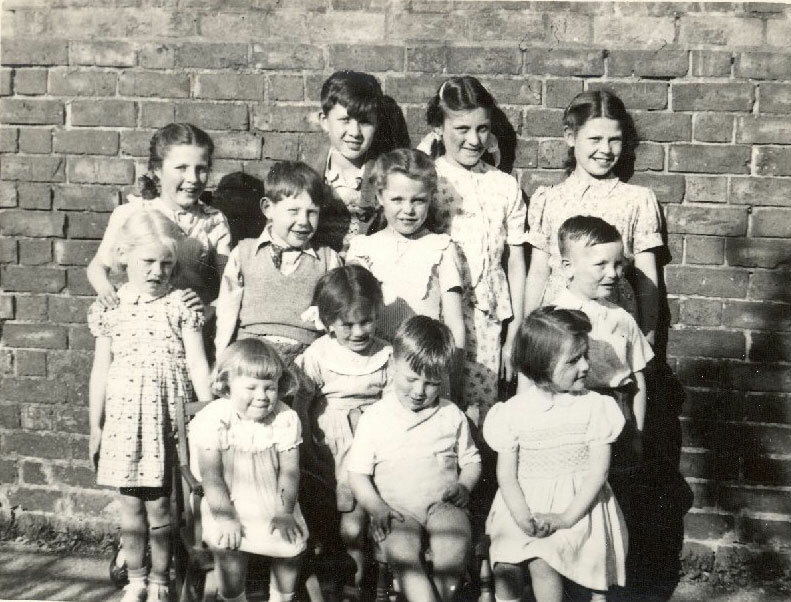 This photo from Ian Turner’s collection dates from 1949 or 1950 and portrays some of the children who lived in houses on the lower section of Cambridge and Windsor Streets and some from Church Street. 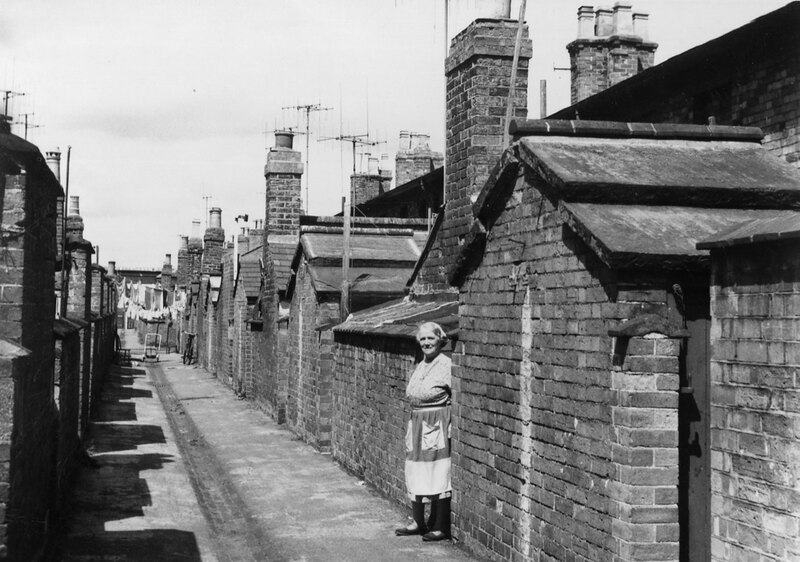 Back Alleys were favourite (and safe) places for children to play in the 1950s. They were not out of earshot of their parents and all the neighbours knew each other. I can recognize Annette Turner and Rosemary Marshall, who were my age, and Ian Turner in the middle. The younger ones I am not sure about. There was a boy called Tony Durbin who lived down that way at this time and his family moved away shortly after this. I am not sure if he is the boy in the back row. Author Bryan DunleavyPosted on 8th September 2011 Categories Back Alleys, Cambridge Street, Windsor StreetLeave a comment on Back Street Kids! This view is looking north towards Church Street. Of interest here is the garages starting to appear on the Windsor Street side. car ownership was just developing in the 1950s and garages were required. Paint quality was not to today’s standard and protection from the elements was considered to be essential. Photo courtesy of Ian Turner. See also my commentary on Back Alleys. When Wolverton was built in 1838 the back alley was a new and revolutionary concept in urban sanitation. If you look at the older parts of Stony Stratford and Newport Pagnell you can understand why they were so new in the 19th century. They were there so that the “night soil” men could come round and clean out the earth closets at the end of the back yard. The Water closet was a slightly later invention. You can see here the relative narrowness of the back alley compared with later ones. The outbuildings were outside toilets and those with chimneys were wash houses. 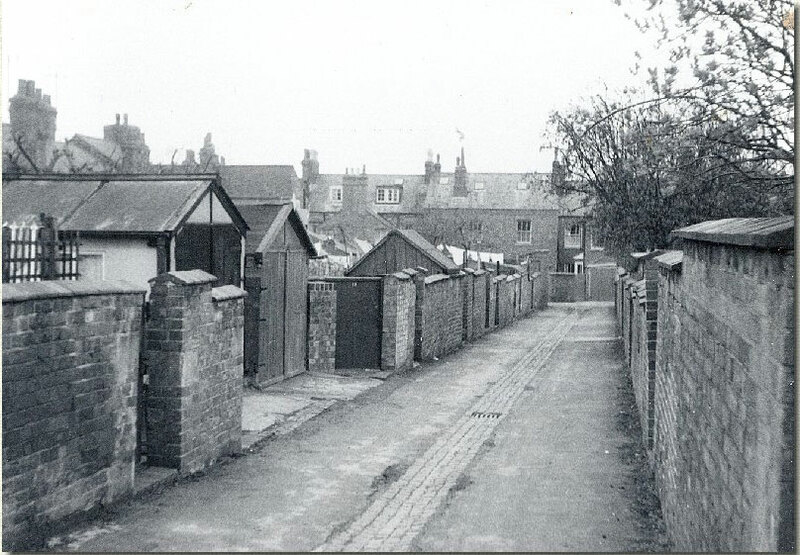 By the time the later parts of Wolverton were built a public sewage disposal system had been installed and the back alleys were no longer required for their original purpose. But they were used for rubbish collection, for the so-called dustbins that were put out every week. If you forgot to put them out the dustmen would open up the back gate and pick them up and then put them back. Of course in those days there was no elf and safety and the dustmen were actually expected to lift the bins – which they did without complaint! The dustcarts would make their progress up and down the back alleys, manned by the council workers who were usually very adaptable. 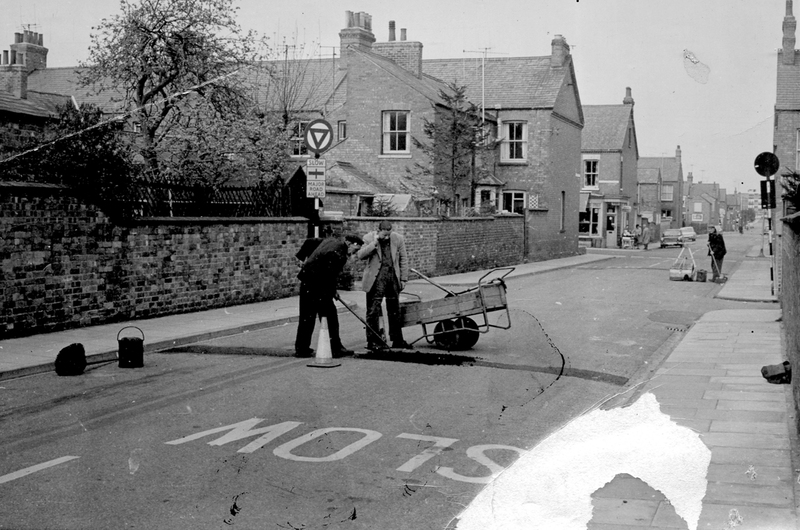 One day they would be working on the dust carts, and on another they would be patching a hole in the road. Very little household rubbish was thrown away a couple of generations ago. Packaging was not really invented until about 1960. Typically the only things you bought in boxes were cereals and detergent and there were tin cans. Bottles tended to be recycled. So most of what ended up in the dustbin at the end of the week were the ashes from the coal fired grate – hence the name dustbin.